Chelsea attacker Willian has opened up concerning his future in Chelsea and has admitted he wouldn't be in the club if Conte was still the manager. 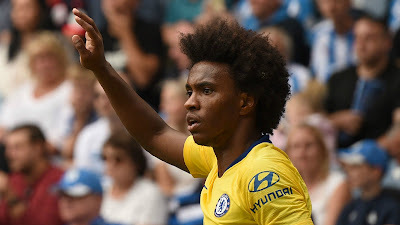 Willian featured for Chelsea on Saturday when they played against Huddersfield in their first game of the Premier League season. Chelsea won the game by 3 goals to nil, with Kante, Jorginho, and Pedro getting the goals. Speaking with Goal after the game, Willian spoke about the game and why he is still at the club. Chelsea plays Arsenal on Saturday in their next Premier League game.